Whiplash is a common term for the acceleration-deceleration forces on the neck which may occur in rear-end or side impact motor vehicle collisions, diving accidents and/or other mishaps. These forces may result in painful injuries to the muscles, ligaments and joints of the neck and other spinal areas. However, sometimes they result in no injury or pain at all. Whiplash is a condition with a high recovery rate. Studies have shown that people who resume their normal daily activities often recover faster than those who markedly alter or reduce their activity level for a period. 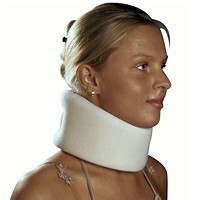 Symptoms related to whiplash may appear immediately after the incident or have a delayed onset of a few hours or days. Many people recover within a few days or weeks, but for others it may take several weeks to months to experience positive changes in symptoms. There are methods to monitor the prognosis of your neck pain condition. Research is being conducted worldwide to understand why there is a variable recovery rate between different people. Some factors have been identified: for example, age and initial severity of the injury. However, there is still more to be learned. In whiplash, the number and severity of symptoms vary between individuals. The rate at which individuals recover also varies. Ongoing symptoms like neck pain from whiplash during recovery will fluctuate in their intensity and this is normal. Whiplash is the common term, but symptoms and recovery rate vary between individuals. This is important to keep in mind as you progress through your recovery period. As time passes since the whiplash injury, you may be asking yourself a few questions. 1. Will I get better? – Most people recover from a whiplash injury, although at different rates. No injury is the same as another. 2. Will I have a full whiplash recovery? – Some people recover within days of the accident while for others, it may take several months and occasionally one or two years. The majority of people who sustain a whiplash injury make a full recovery with no limitations. A note here: Your expectations of recovery do make a difference. While there are many factors involved in recovering, studies have shown that expecting to make a sooner recovery from whiplash is related to the actual rate of recovery. According to a study in an August 2014 edition of the journal of the Australian Family Physician, as early as 1 week after injury, individuals that expect to recover soon, recovered over 2 and a half times faster than those who did not expect to get better soon. 3. What can I do to speed up my whiplash recovery? – Research has shown that it is better to try to maintain your normal daily activities to speed up recovery. You may need to modify some activities to care for your neck. But you should gradually resume normal activity (work, recreation and social). 4. Can I do the same activities as before? Is it safe? – Some limitations may occur to your usual work and recreational activities in the early to mid-stage of recovery. Be adaptable. 5. Do I have any limitations? – An injury will cause pain. However it must be understood that the pain that occurs in the recovery period does not automatically mean that there is further injury. It is best to stay active and work actively to recover. 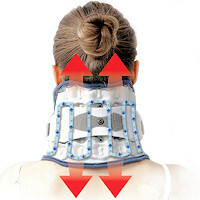 This article provides information about neck care and exercise to assist you in your recovery. You should be in control of the situation. You are your own best resource in the whiplash recovery process. Managing yourself is a key component to eliminating the discomforts that you are experiencing. Do as many of your normal activities as possible. Better recovery has been found in individuals who maintain a healthy active routine after a whiplash incident. This goes for your general health as well as that of your neck. Plan gradual increases in activity and exercise levels so that you can successfully return to full participation in your regular activities, hobbies or sports. Those who continue to work, even in a reduced capacity initially, have been shown to have a better whiplash recovery than people who take time off. It may be necessary to modify work procedures for a time and this guide will suggest ways to do this. You may wish to consult your employer/treating practitioner regarding ways to modify your particular work tasks and environment. Maintaining a good relationship with your employer and co-workers is a positive component in the recovery process. Reward yourself as you achieve a goal. Realize that each achievement is moving you closer to a normal lifestyle. Don’t skip the simple pleasures; enjoy time with your family and friends, participate in social outings, begin a new hobby or rediscover an old one. The positions in which you work and relax each day have a great impact on the health of your spine in whiplash recovery. It is easy to compensate and allow yourself to develop poor postural habits. You will need to be consciously aware of your posture and positions when you are performing tasks at home and work. By thinking about how you will do your work and recreational activities, you can avoid unnecessary strain on your neck, reduce pain and positively assist recovery. In today’s society, we are all sitting more, whether it is in front of computers at work or at home, or in front of the television. It is important for all persons, young or old, to move regularly to maintain the health of the neck and back. The exercises and advice in this whiplash recovery article can help prevent neck pain and strain in all people. While you practice ways to ensure you regain good health of your neck, do your family and friends a favor. Help them develop good habits to prevent neck pain and strain as well by following this advice. Maintaining a good position of your spine is important in everyday activities as well as during the exercises. Correct your posture by gently straightening your spine from the lower back and pelvic region. Gently raise your pelvis up out of a slump position. Next, reposition your shoulder blades so that they draw back and across your rib cage (towards the center of your spine). Gently lift the base of your skull off the top of your neck. This takes the load off your neck and stimulates the muscles to work. Hold the position for at least 10 seconds. Repeat frequently during the day (eg four times an hour). Use reminders such as when the phone rings, commercial breaks on TV, and when stopped at red lights while in the car. Sitting in one position for prolonged periods of time is not good for anyone, certainly not someone with neck pain. Keep your neck healthy. It is essential that you change your position before your neck becomes stiff or sore. Perform the postural correction exercise regularly. Whether it is in a motor vehicle or at a desk/computer terminal, you need to give your body a change of position throughout the day. Take a “neck break”. It can be as simple as standing up for a few moments to straighten your spine or stretch backwards gently. A: Position your screen slightly below eye level and directly in front of you. B: Have an adjustable chair so that you can change the height and back support. C: Sit with hips, knees and elbows at close to 90 degree angles. Feet flat on floor or foot stool. D: Document holder should be at the same eye level as the screen and close to the monitor. Use a headset if your job entails extensive use of a telephone. Driving the car: to sit comfortably without strain, bring the seat forward so that when your foot is on the accelerator, your knee is bent to about 30 degrees. Ensure the back of the seat is upright with the lower back supported. Your arms should be relaxed, with bent elbows, as your hands gently grasp the steering wheel. Check the position of the rear-view and side mirrors in your car. Using mirrors effectively can assist when changing lanes. When reversing, sit slightly forward and turn your trunk and shoulders first and then your head to see behind you. Don’t avoid going to the movies because it bothers your neck. Where or how are you sitting? Go early so that you can get a seat in the center of the theater. 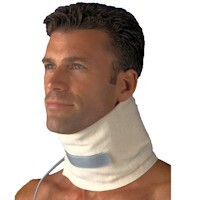 By being straight on, you can reduce neck strain and enjoy the movie. If watching a child’s sporting event from a chair is uncomfortable, walk the sideline. At a dinner party, sit so that you can view people straight on. Sitting with your head turned to talk for prolonged periods can make it stiff. At the hairdresser, stand and face the basin if you know that your neck hurts to put your head back. 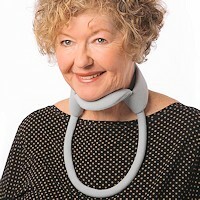 Take a rolled towel or small neck roll pillow to the dentist to support your neck. Watching television, practice your postural exercise during advertisements or stand up. If lying, support your neck, don’t lie with your neck bent up on a pillow. Be creative. By adapting a few things you may take yourself closer to the lifestyle that you want to resume. If the way you are currently performing a task aggravates your symptoms, find another way that does not strain or make your neck painful. Don’t hesitate to modify positions and tasks that place excess stress on your neck. There is no substitution for common sense. Think before you lift and follow rules for safe lifting practices. Test the weight. Avoid reaching to lift objects or lifting awkwardly. Carry the object close to your body. When lifting from ground level, stand close to the object with feet apart, bend using your knees and your back (about 50:50). Keep your chin in during the lift. Working at a bench (eg hammering, chopping food, packing): while you work, gently draw your shoulder blades back and downwards to keep the top of your shoulders relaxed. Have a work break every 10-15 minutes or just a few seconds. Practice postural correction. Lessen any strain. Carry fewer bags of groceries from the car at a time. 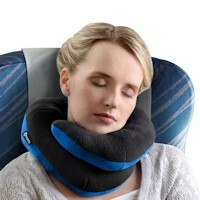 There will be more trips but less strain on your neck. Check the contents of your bags (eg handbag, gym bag, school bag). Lighten the load. You can prevent neck strain. 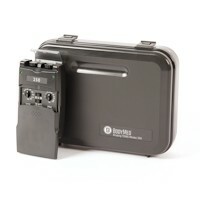 When traveling, always use a suitcase with wheels, including hand luggage. Consider if you really need all those items that you have packed, especially footwear, which is heavy. Lessen the load. Going to or from work, balance your briefcase or laptop case in both hands. If you need to carry extra paperwork, consider transporting it separately. Do not overload one side. Use a cart to carry oversized or multiple items. When carrying children, regularly change sides. Use slings, backpacks or strollers. Lessen the strain. Spread out house cleaning over a few days. You don’t have to do all the chores at once. Change your routine and reduce the chance of neck strain. Rotate the cleaning tasks, don’t do the same task all at once. Alternate lighter tasks with heavier tasks. For example, do some dusting, vacuum one room, do the washing up, and vacuum another room. In the laundry, lift fewer clothes from the washing machine at once. Lower the clothesline to reduce the strain on your neck and shoulders while hanging out the clothes. In the garden, vary your activities and positions. Do some weeding, then some raking, then some trimming. Rotate your activities. Weed the garden kneeling on your hands and knees or in a half-kneeling position with one knee bent up. Use a wheelbarrow to take weeds to the compost bin. When trimming high hedges, don’t stretch up too high. Consider using a stepladder to improve your position. Make sure it is positioned safely. Don’t start new projects involving heavy lifting until your neck has recovered. Get help to carry heavy loads or to do heavy tasks. Act as Usual: It is normal to experience some mild discomfort during the recovery process but don’t stress your neck to a painful level. Try to participate in most of your normal activities. Be Active: Perform general exercise and activity to maintain your wellbeing and health. Undertake a specific exercise regime to improve your movement and flexibility and restore muscle control and support to your neck. Be Aware: Make a conscious effort to maintain good head and neck posture during your daily activities. Practice postural correction and control when sitting. Maintain the good posture when moving. Undertake the neck exercise rehabilitation. 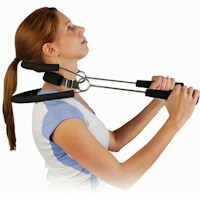 Research has shown that the set of exercises is beneficial in the recovery of your neck injury. 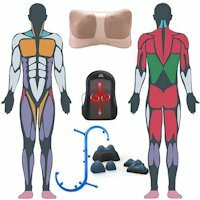 These exercises were chosen specifically to assist in re-establishing your normal neck movement and flexibility and to restore the muscle control that is necessary to support your neck during normal activities. Muscle control means pain control. Exercise to reduce your pain. Do not hesitate to contact your health professional if you have any difficulties or concerns with the exercise or any advice on whiplash recovery. Perform all exercises seated or standing in the correct postural position. Perform all exercises in a slow and controlled manner. Do each exercise as precisely as you can. With each repetition, make sure that the movements are smooth and slow, not quick or jerky. Keep relaxed. Place your lips together, teeth apart and your tongue on the roof of your mouth. This will help you to stay relaxed. Reduce tension in your neck. Gently draw your shoulders back and across your rib cage (eg towards the center of your spine) before you commence any of the exercises. Try to complete the repetitions for each exercise as they are prescribed. During the exercises some discomfort may be experienced and this is quite normal, though pain is not. Stop the exercise before pain begins. Perform the exercises in the position that is indicated. Some of them may seem repetitive; this is actually beneficial in many ways. Always place yourself in the relaxed neck and shoulder position to start the exercise. Perform 10 repetitions of each exercise unless instructed otherwise. Perform exercises in a formal way at least twice per day. Incorporate exercise in your daily routines. 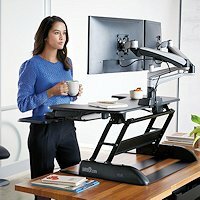 You can exercise while you work. Maintaining a good position of your spine in everyday activities will relieve your pain. It is not possible to sit in a perfect posture all day as it becomes too tiring. Rather, make sure that your chair and working area help you to keep a basically good posture. Then, at regular times during the day, assume the ideal posture by straightening your spine out of any slump position, gently bringing your shoulder blades back and across towards the center of your spine and gently lifting the back of your head off your neck. Hold the position for 10 seconds. Repeating this postural correction throughout the day is essential. This correct posture takes the load off your neck and stimulates the muscles to work. It reduces the tension or stress in the neck and shoulder muscles. Regularly correct your posture throughout the day (eg every 15 minutes). It takes only a few seconds to do. Once you have mastered the exercise, try continuing your work while you hold your shoulders in the correct position; it eases the strain on the top of your shoulders. 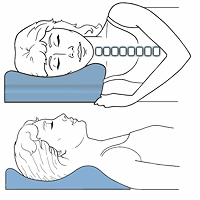 This is an exercise which should be performed by all people to maintain the health of their neck. Find cues to remind you to perform postural correction repetitively throughout the day. Nominate events that happen regularly throughout the day. Use these as your cues to remind you to perform postural correction. Assume the correct postural position. Gently turn your head to the left, looking where you are going to see over your shoulder as much as possible. You may find it easier if you have a target on the wall to focus on.With each repetition, attempt to go a little further in that direction. Perform the same exercise to the right side. Assume the correct postural position. Start with your head centered and gently bring your right ear down towards your right shoulder. A normal stretch of the muscles on the side of your neck may be experienced. The exercise should be pain free. Perform this exercise on the left side. A. Assume the correct postural position. B. Look down and gently bring your chin down towards your chest. Lift your chin up and return to the starting position. C. Slowly roll your head and neck backward to look up at the ceiling as much as possible. Come back up by tucking your chin down and bringing your head back to the upright position. A good alternative to performing the exercises while sitting is to do them while kneeling on your hands and knees. It is often easier. Push through your hands so your back is not slumped. D. Practice turning your head and looking to each side.E. Practice looking up to the wall ahead. This is an important exercise in whiplash recovery to retrain the deep neck muscles of your neck for pain relief. Lie on your back with knees bent without a pillow under your head and neck. A. If this is not comfortable, place a small, folded towel under your head for support. B. With your eyes look at a spot on the wall just above your knees. Follow with a slow and gentle nod of the head as if you were indicating “yes”. While doing the exercise, place your hand gently on the front of the neck to feel the superficial muscles. Make sure they stay soft and relaxed when doing the head nod movement, stop at the point you sense that the muscles are beginning to harden. Hold the position for 10 seconds and then relax. Look up to a point on the ceiling to resume the starting position. Repeat the exercise 10 times. This exercise will relax and ease any tension in the muscles on top of your shoulders. It will give you pain relief. A. Lie on your left side with your arm resting up on two pillows.B. Roll your right shoulder blade back and across your ribs towards the center of your back. Hold the position for 10 seconds. Repeat five times.Repeat lying on the right side for the left shoulder blade. Assume the correct postural position and gently raise the back of your head.Place your right hand on the right cheek. Without moving your head, turn your eyes to the right and gently push your head into your hand as if to look over your shoulder. While performing this exercise no actual movement occurs. The muscle contraction should be maintained for five seconds. Do the exercise smoothly and gently. Use only 10-20% of your maximal effort. Change hand position and perform the same exercise to the left side. Five repetitions should be performed on each side. The exercise program will take no longer than 10 minutes to perform. Perform once in the morning before you start your daily routine. Perform once at night before retiring to sleep. If you want to do the exercises more frequently, one or two additional sessions per day would be beneficial. Should I do more difficult exercises? Once your neck pain has settled, the exercises can be progressed to include strengthening exercises. The weight of your head is a sufficient weight to lift. These exercises should not cause pain. Progress slowly. Start by resting your head on two pillows. Nod your chin and hold it in this position. Then try to just lift the weight of your head until it just clears the pillow. Hold for 10 seconds and relax. Start by doing two to three repetitions and build up to 10 repetitions. 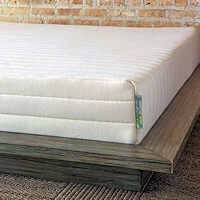 The exercise can be progressed by removing one pillow and performing the exercise in the same way. The most difficult position is lying with your head flat on the floor. Perform the chin nod and lift your head until it just clears the floor. Note in all variations of the exercise: holding the chin nod position (that is keeping a double chin) is the most important aspect of the exercise. How tasks are performed each day can have an impact on your recovery. Don’t place unnecessary stress on the muscles and joints of your neck. Change your posture frequently throughout the day. 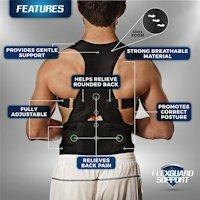 Assume the upright stress-free posture for short periods regularly throughout the day. You can stop your pain. Carry lighter weights – bags, briefcases, shopping bags. Prevent the strains of unnecessary weight. 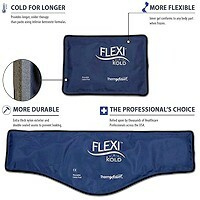 Rotate work, household and garden chores. 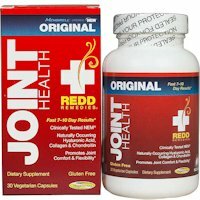 Joints and muscles like activity but not to excess. Change from one task to another if you notice that you’re experiencing increased discomfort with that task. Simple tasks can sometimes be the most challenging. The modifications that can be the most useful are often the simple common sense ones. 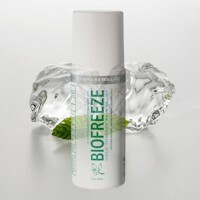 Change the way you do things if it means no strain, no pain. Preventing strain is a way to recovery. Gradually increase your activity and increase tolerance. Be in control of your situation.